The tour of DC at night: I had never seen the Martin Luther King, Jr memorial. It was haunting in the darkness with its cloak of light from below. I felt overwhelmed, yet fiercely powerful. Even though I’d been to D.C. twice prior, I didn’t know the little quirky things about some of the monuments, like if you look at the Lincoln memorial from the side, you can make out the outline of Robert E. Lee out back of Lincoln’s hair, or that at the Korean memorial, no matter where you stand among the soldiers, one of them will be looking at you in your eyes– a soldier always has your back. I felt fierce and powerful. The impromptu post-DC tour: As we were embarking on the tour bus to go back to the hotel, the amazing math teacher from Indiana, Kelly Day, said that she was going to walk around to tour some of the rest of the monuments by foot. Even though I had just moments prior complained about how my nice, comfy hotel bed was whispering for me, I suddenly grabbed my stuff, jumped off the bus, and joined her. Kelly takes her students to DC and leads tours with them, so I’d definitely consider her an expert. I learned a whole lot! She took me to FDR, George Mason (where we awkwardly ran into two fox that were attempting to pounce on food. When I asked them, “What does the fox say?” they both ran away rather quickly. So apparently, they either say nothing or it is the great secret of the universe). We spent some time gazing up at the famous words of Thomas Jefferson, strolled by the Washington monument, and ended at the WWII monument (which seems fitting, as it is the conclusion of this war that sparked the Fulbright Exchange Programs). It was awesome seeing these monuments in the cool of the super moon reflecting the twilight. The monuments took on a dreamlike quality, and the quiet allowed for more time and reflection. I’d definitely recommend doing a quiet walking tour at night. A snapshot of the FDR memorial. Getting to spend some time with my parents: My parents came along, and it was awesome! Fulbright was so wonderful to extend an invitation to them for the capitol and D.C. bus tour, as well as for breakfast and dinner. It was especially special because they were celebrating their 32nd wedding anniversary, and I was so happy to have a joint adventure with them. We ended the trip with a visit to the Newseum, which is now by far my favorite museum I’ve been to in D.C. I checked online beforehand, and it said that the museum could be toured in 2-3 hours. They WAY underestimated! I am so captivated by stories, and this museum is full of so many important ones that capture important moments in history. After the three and a half hours I had allotted for us to tour, we definitely didn’t make it to the last floor because we spent our time appreciating each story. They didn’t just tell a single narrative, as curators seemed really in tune to the danger of a single story. It beats the science museum for me, and you KNOW I love the Science museum (DINOSAURS! SPACE! HANDS ON LEARNING!). Culture night: On our last night before our departure, we had a sit down meal and received our Fulbright pins. As usual, I had to try very hard to keep the tears from slipping out of my eyeballs. After dessert, teacher gave presentations on their cultures. We had everything from dances, to speeches, to songs. It was syrup on a waffle. I was curious to see if any of the U.S. teachers would give a presentation on American culture because how difficult to capture the quintessential “American” traits in such a diverse country. But three teachers nailed it. They showed a YouTube video of the Price is Right and talked about the American trait of competitiveness. They then had four of the international teachers play the game, having them guess the prices of iconic American foods like Spam, Cheese Wiz, Krispy Crème Donuts, etc. I laughed so hard. 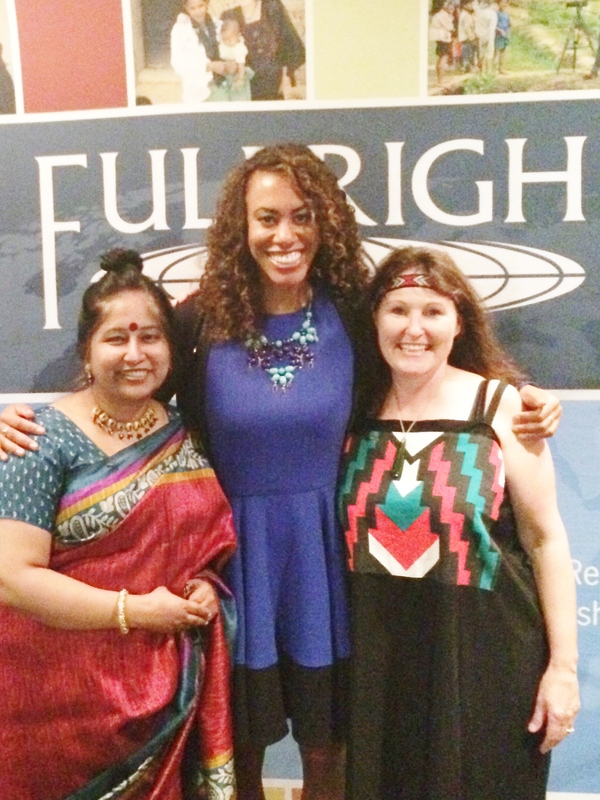 I’m with the two New Zealand Grantees of the Fulbright Distinguished Award in Teaching. I felt a sense of dread when I had to leave the orientation. At the end of the last day, we all cried together while we shared what the experience meant all of us. I think we pretty much all lost it when Seth Hoffman sang his song. I finished lunch, took a deep breath, and then told my tablemates that it was time for me to push off. I was overwhelmed with hugs from not only my table, but also from those around me. The wrapping of arms is the sealing of the envelope of my special experience. 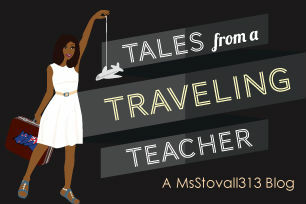 Overall, what makes the experience so magical is how I felt about being a teacher. In a time when teachers are consistently vilified as well as overwhelmed with heaps of new standards and tests, it’s hard to feel valued. Yet, as one of the teachers put it, it’s the first time in possibly our whole careers that we’ve felt truly valued and appreciated as educators. I have always felt like I am an intellectual, a life-long learner, and one who is curious about things unknown, yet I am in a profession that increasingly cares about products instead of the journey. My capacity for curiosity and learning for learning’s sake is being squashed by standards and ever-changing policies. And yet, there I was, at this Fulbright orientation being treated liked I’ve always wished I’d be treated as a leader and educator. All teachers should have this gift, and meeting all of these people reminded me just how passionate, dynamic, and freakin’ brilliant teachers are. So thank you to Holly and Becky, the Department of State, and the Fulbright grant for giving me the opportunity to brush elbows with some of the world’s true finest.